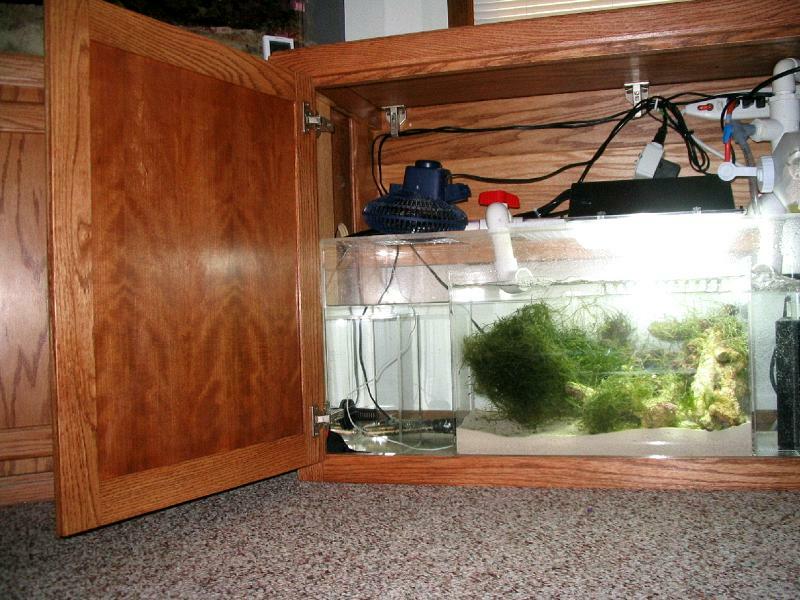 A sump was requested for a corner tank. 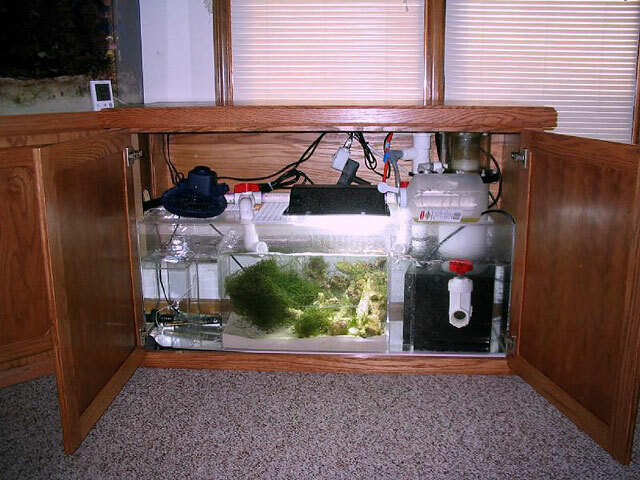 Because there was no room to work in that stand, this sump & refugium was designed to be installed in an adjacent cabinet, providing easy access and more volume to the system. 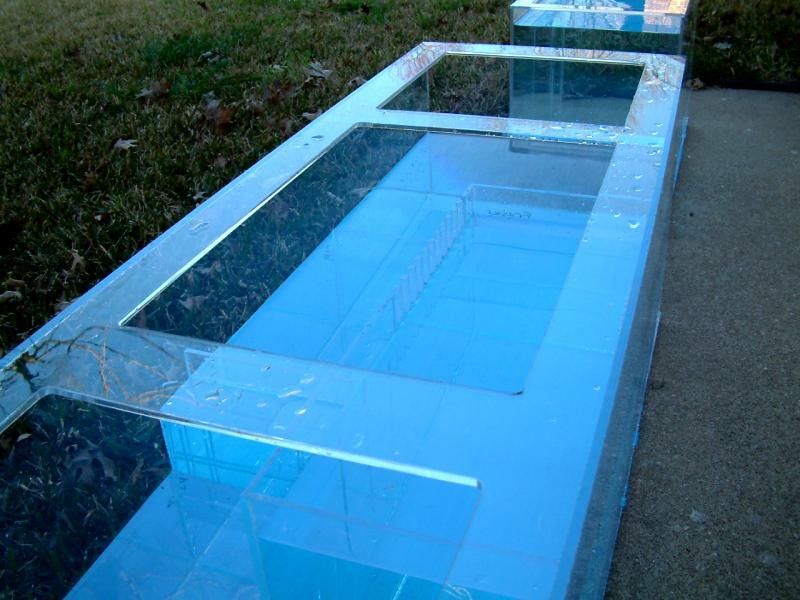 By the way, this is probably my favorite sump because of its uniqueness. 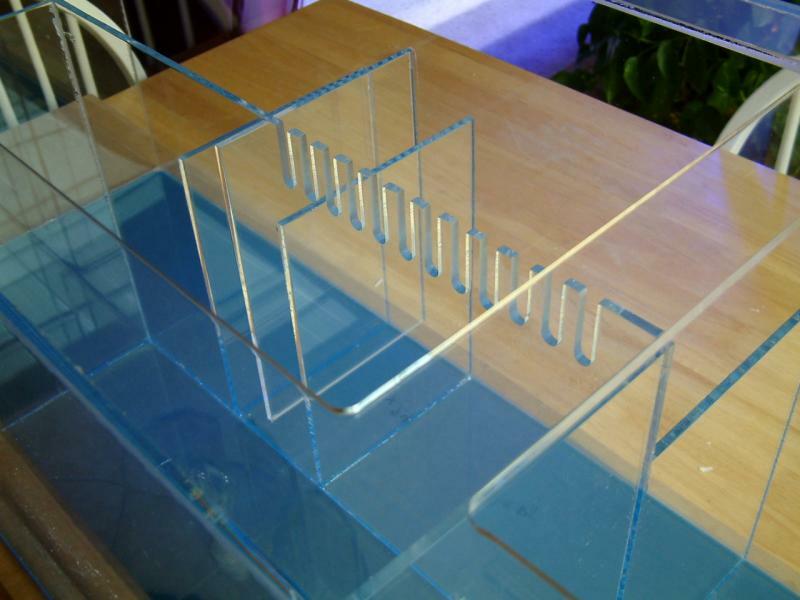 Taking pictures of acrylic sounds easy at first, but for the reader online it can be difficult to see things clearly. 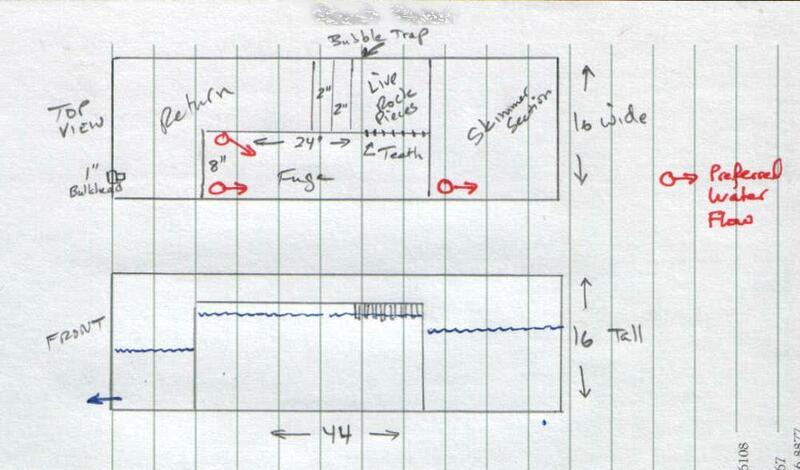 So, here is a sketch to help you visualize the unit. 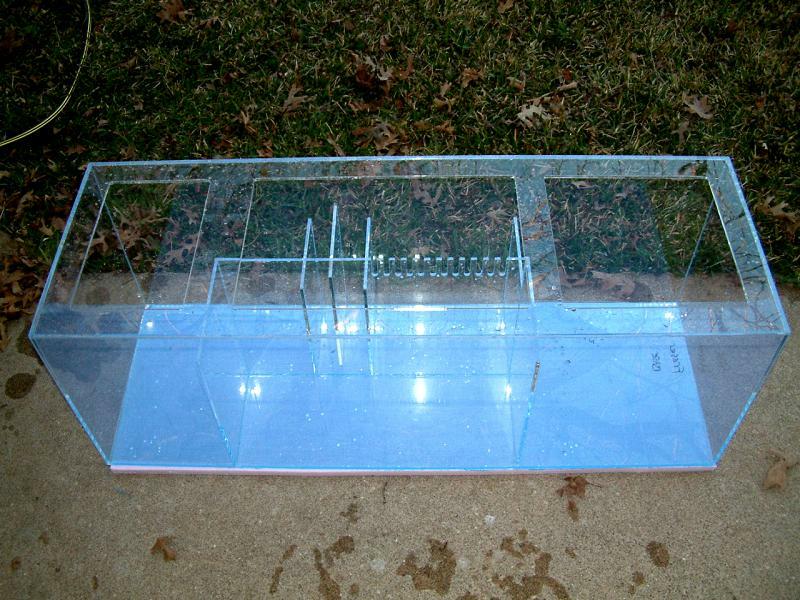 Overall dimensions: 44" x 15" x 16" - The refugium was shortened to 20" long, to make more space for the skimmer section. 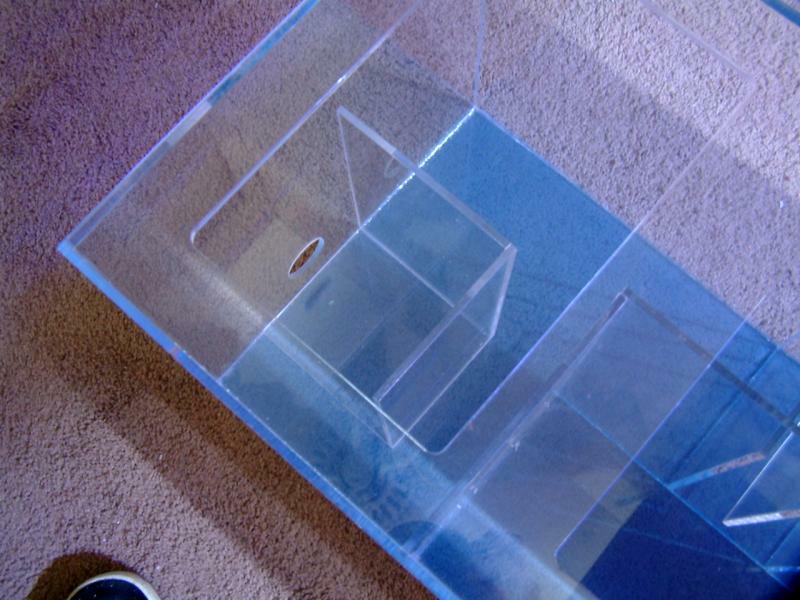 Top view, with the refugium in the front section. 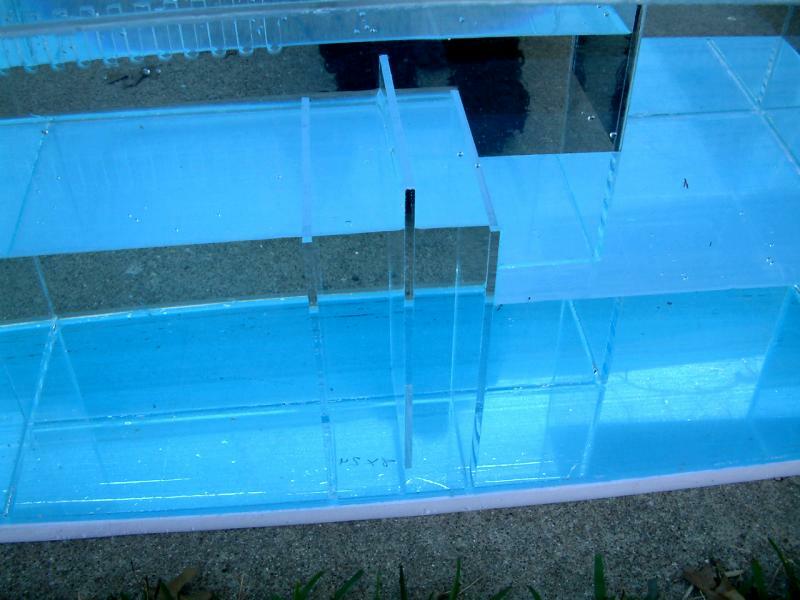 A bubble trap is behind the refugium. Front view, displaying normal water levels. 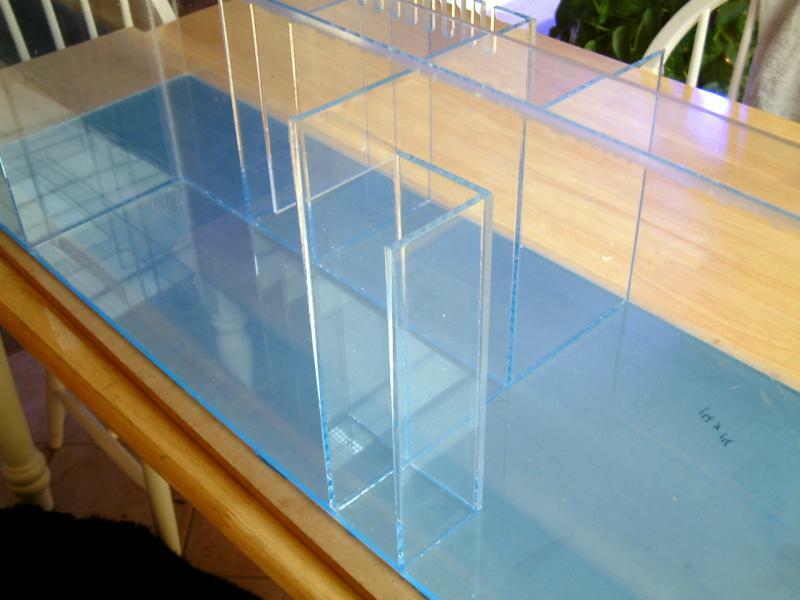 The return section (left and behind refugium) appears uneven, but is level. 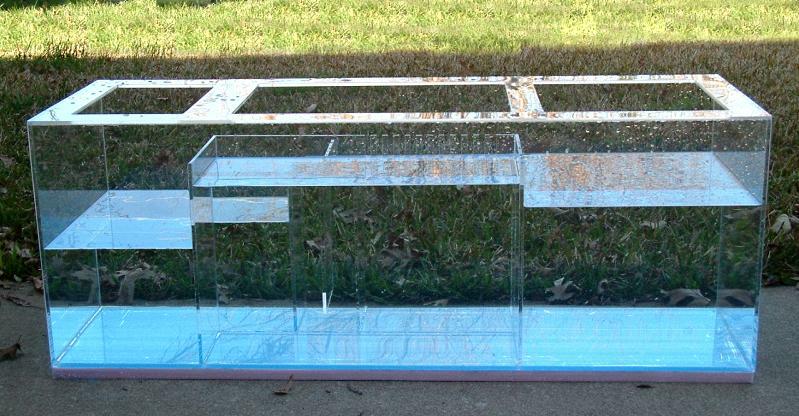 Rear View, displaying the difference in height after the 2" bubble trap. I'm very proud of how nicely these openings came out. The water from the refugium pours through these teeth into a Live Rock section. This small chamber is where the water pours into the skimmer section, to help control excessive bubbles. 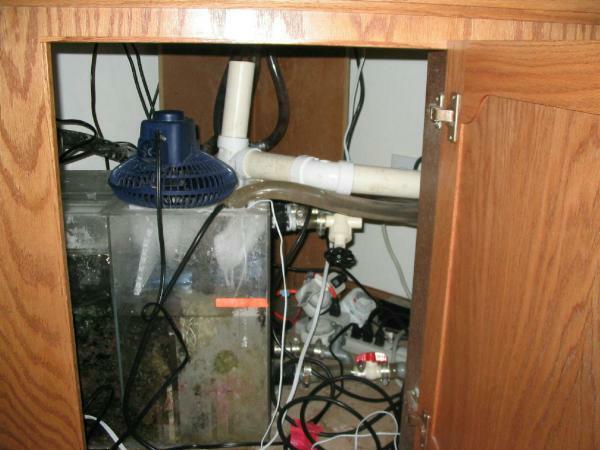 A removeable barrier was built to put around the outlet leading to the return pump, to further prevent microbubbles from entering the display tank. 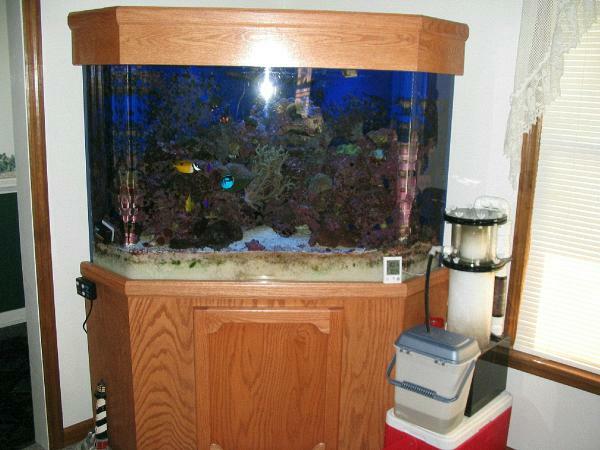 This is the reef tank the sump was built for. The skimmer didn't fit under the tank. A glimpse of the old setup. 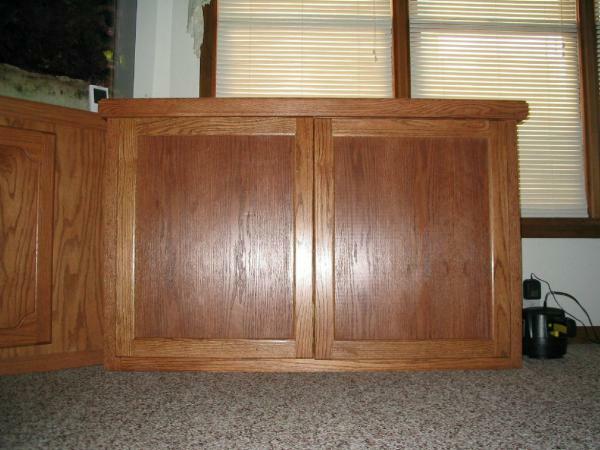 The new cabinet to hide the sump. 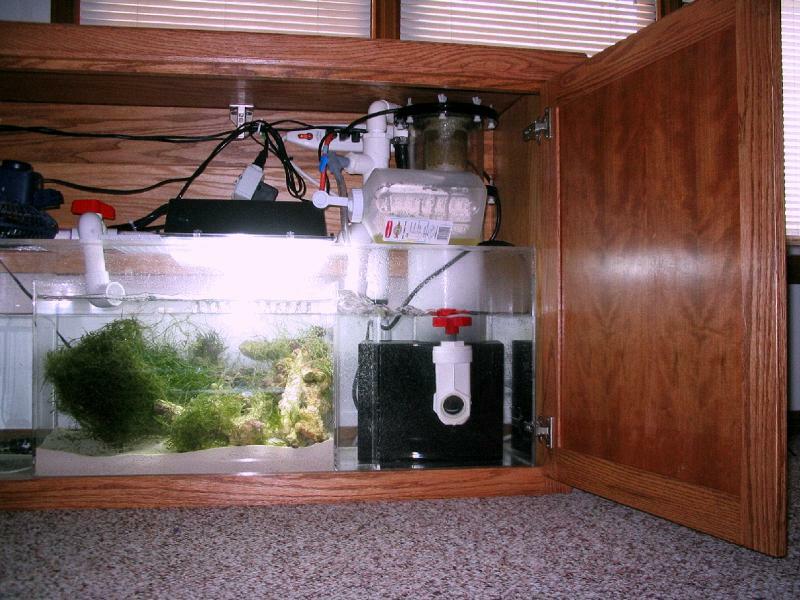 The lid opens upward providing full access to the sump. Posted 3 hours 45 min ago. Posted 6 hours 32 min ago.